There is plenty of hiking in Idyllwild for that that are interested in exploring to some majestic locations. 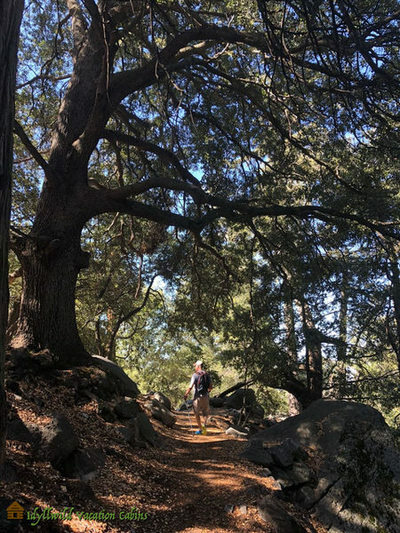 The Idyllwild-Pine Cove area offers a wide variety of well marked trails and this page should give you a since of what is available. This easy, scenic, 2.6 mile hike leaves from Fern Valley Road, just before Humber Park. Beginning at 6100 ft. and crossing streams along the way, ft descends 600 ft. ft is a good walk for beginning botanists; many different species of trees can be found along the way. This trail starts off of Hwy. 74, west of the Pinyon Flat Campground. ft heads north, descending the length of Palm Canyon to Palm Springs. The distance from Hwy. 74, north, to the Forest Service boundary is 9 miles. You will need written permission from the Agua Caliente Tribal Council to hike the portions of Palm Canyon Trail that cross tribal lands (call 619-325-5673). Moderately difficult, the 2.5 mile trail begins at Cahuilla Saddle, elevation 4480 ft., on Forest road 6S22 in Anza. It then proceeds up the northeast slope through thickets of chaparral, Live Oak, and Jeffrey pine. From the 5604 ft. summit are views of the area that Juan Bautista de Anza traveled through on his expedition in 1776. This trail passes through a Research Natural Area containing ecosystems used for research and study purposes. Beginning on Forest road 5S10 this 2.5 mile, strenuous trail descends west to the North Fork of the San Jacinto River. Jeffrey pines border the start of the Webster Trail which proceeds over a ridge, passes through chaparral, and terminates in streamside willows, offering excellent views of the San Jacinto and Hemet Valleys. Beginning elevation is 5400 ft. with an 1800 ft. elevation change. This 4.5 mile moderately strenuous trail descends from Hwy. 74, trailhead elevation 3800 ft., to the South Fork of the San Jacinto River. ft then ascends to 4600 ft. at Rouse Ridge Road (5S15). Park at the Caltrans cinder bin turnout on Hwy. 74, west of Mountain Center. The trail provides access to fishing at the River. This 3.6 mile, moderately strenuous hike leaves from Hwy. 243, 1.3 miles south of the Vista Grande Fire Station. The trail begins in chaparral at 4480 ft. and ends on the forested slopes of Black Mountain, elevation 7772 ft. There are excellent views of the Banning Pass and Mt. San Gorgonio. This trail passes through a Research Natural Area containing ecosystems used for research and study purposes. 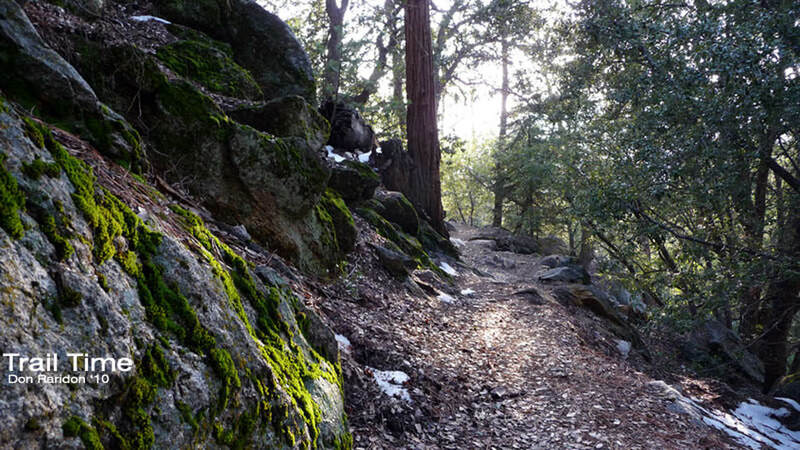 This moderate, 3 mile trail climbs 15M ft., offering views of Garner Valley. Starting at 4400 ft., the hike ascends to Toolbox, Spring on Thomas Mountain Road (6S13). Trailhead sign Is about 3.5 miles south of Lake Hemet on Hwy. 74. This is a moderate hike, with views, leaving Garner Valley from Fobes Ranch Road (6S05). The 1.5 mile trail winds through chaparral and oaks to intersect with the Pacific Crest Trail, on the pine-covered Desert Divide, south of Spitler Peak and north of Palm View Peak. Beginning elevation is 5200 ft. with a gain of 800 ft. Follow Morris Ranch Road in Garner Valley to the trailhead sign. The trail travels through private property; please respect private property rights and stay on the dirt road. This is a moderate 3.2 mile hike, beginning at 5760 ft. 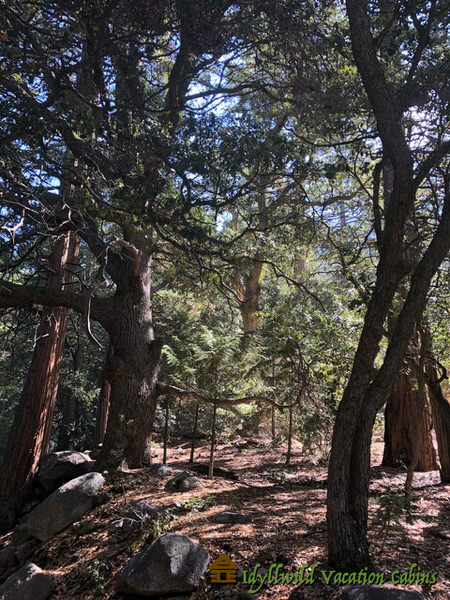 The trail connects with the Pacific Crest Trail, along the Desert Divide, south of Palm View Peak at an elevation of 6400 ft. To Cedar Spring, take the branch trail off the PCT northeast for one mile. The Pacific Crest Trail (PCT) extends 2,600 miles from Mexico to Canada. Although a few marathon hikers have traveled the length in one trip, most hike the trail in sections. The San Jacinto District contains 55 miles of the PCT. ft begins 1/4 mile east of the junction of state Highways 371 and 74 in Garner Valley; ft passes through the wilderness and exits north of Cabazon Peak near Interstate 10 in the desert near Palm Springs. A hiking permit is required for travel through the wilderness section. This is a 5 mile, moderate hike, actually part of the Pacific Crest Trail. Starling at 7600 ft., ft follows the high, timbered ridge above Snow Creek offering spectacular views of the desert. 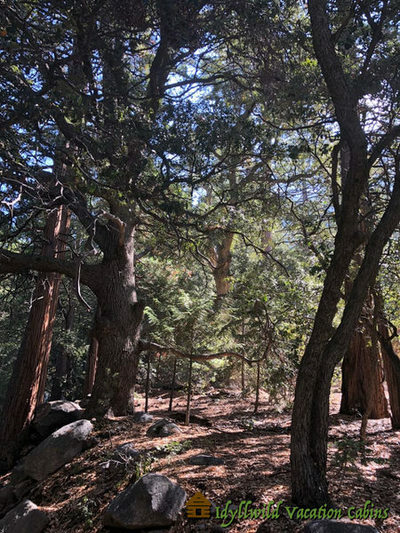 The trail joins Deer Springs Trail, at an elevation of 9200 ft., where a strenuous portion proceeds 2.5 miles to San Jacinto Peak (10,804 ft.). Recommended season Is June-October. Access from Black Mt. Road (4S01), a Forest road, Is usually closed from November-May. This moderate hike begins on Hwy. 243, one mile north of Idyllwild, at an elevation of 5600 ft. A branch trail leads to the top of Suicide Rock, with a gain of 1700 ft. from the trailhead. 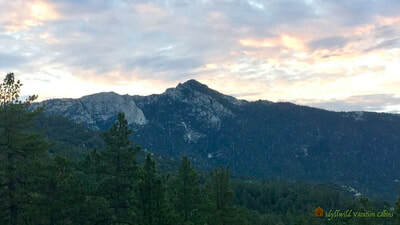 From here, panoramic views sweep Idyllwild and the rugged, granite cliff of Tahquitz (Lily) Rock. The Deer Springs Trail continues to San Jacinto Peak, with a gain of 5200 ft. from the trailhead. Moderately strenuous, this trail follows the North Fork of the San Jacinto River to Its' headwater at Deer Springs. The trail is heavily forested with plenty of switchbacks. Drive through Dark Canyon Campground to the trailhead; the campground access road is normally closed October-May. Beginning elevation is 6320 ft., with an elevation change of 2300 ft. to the junction of Deer Springs Trail. 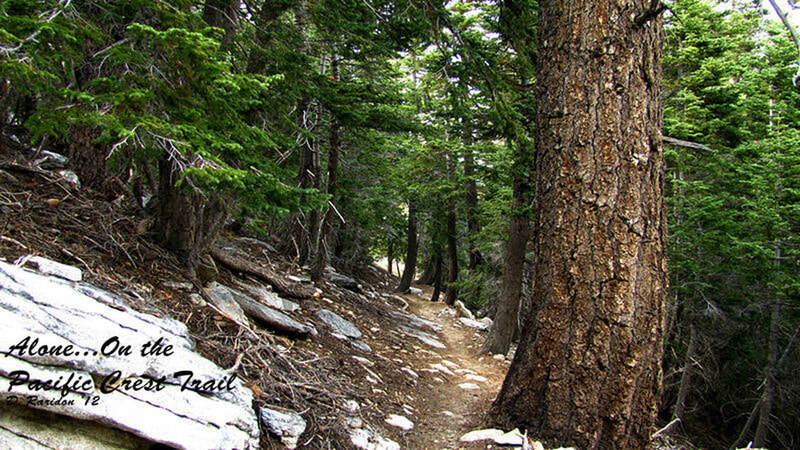 Heavily forested, this strenuous trail is the shortest route to San Jacinto Peak. The trail begins from the road leading to, and shortly before, Marion Mountain Campground. ft climbs the northwest flank of Marion Ridge offering far reaching vistas. Beginning elevation is 6480 ft., with an elevation change of 2300 ft. to the junction of Deer Springs Trail. This moderate trail ascends from Humber Park to Saddle Junction with many switchbacks and far-reaching views. Starting at 6280 ft. the gain in elevation is 1700 ft. From Saddle Junction, trails lead to San Jacinto Peak (10,804 ft.), the Palm Springs Aerial Tramway (8516 ft.), and Tahquitz Peak Lookout (8828 ft.). The Pacific Crest Trail passes through Saddle Junction. Day hike permits for the Devil's Slide Tr. are limited on weekends and holidays during the summer (between Memorial Day and Labor Day weekends) due to very heavy use. An alternate choice may be necessary. 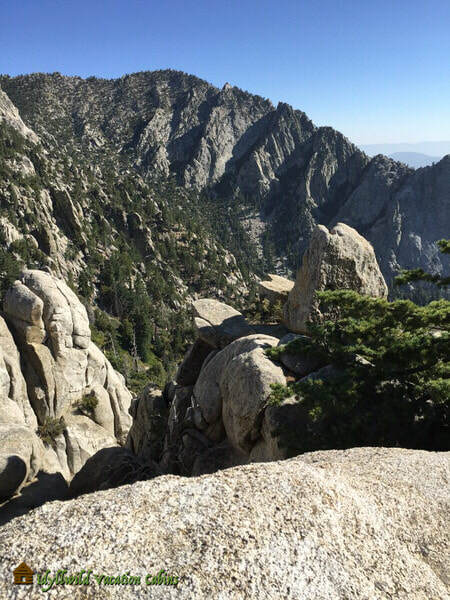 This moderate trail proceeds to Tahquitz Peak Lookout. From both the trail and peak are spectacular views of the Desert Divide, Strawberry Valley and beyond. Beginning at 6800 ft., the elevation gain is 2000 ft. Recommended for morning hours during the summer; ft can be warm and dry during other parts of the day. Follow signs on Saunders Meadow Road leading to South Ridge Trail and Forest access road 5S11. Strenuous, this 5 mile hike climbs from a trailhead elevation of 4920 ft. to an elevation of 7000 ft. The trail intersects the Pacific Crest Trail (PCT) north of Spitler Peak, along the Desert Divide. Hiking may be warm during the summer as the trail travels through chapparal up to oaks and pines. Access to the trail is from Apple Canyon Road in Garner Valley. This 0.5 mile trail is used primarily by rock Climbers to access the base of Suicide Rock. ft leaves from Fern Valley Road near Humber Park. The trail travels through private property; please respect private property rights and stay on the trail. For the Climbers Trail, register at the sign-in box a short way up the trail; this is your permit. Trails leave the Tramway (8615 ft.) for Round Valley, elevation gain 600 ft.; San Jacinto Peak, elevation gain 2300 ft.; and the National Forest Wilderness (closest point is Willow Creek crossing), elevation descent 900 ft.
To enter the Santa Rosa Wilderness register at the sign-in box a short way beyond the trailhead; this is your Wilderness permit. A high desert trail, it begins in Pinyon Flat at 4000 ft. and descends 400 ft. to Horsethief Creek. Bighorn sheep inhabit this region. Trailhead is shortly past the Riverside Co. Transfer Station on Forest road 7SO9. The trail continues 15 miles, through Agua Alta Canyon, to State Highway 86 in the low desert. Beyond Cactus Spring the trail may be difficult to follow. 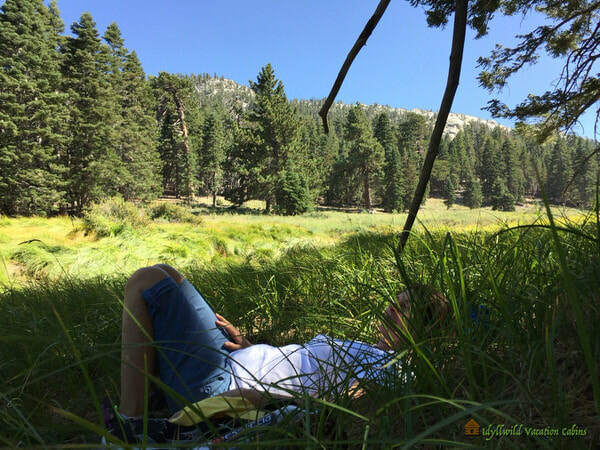 For a list of Topo maps for popular hiking trails in the Idyllwild area, click here.